Google easily holds a monopoly for search in Europe, with over 90% of the market heading to google.com for their searching needs. Following a recent judgement by the court of Justice, in which the court stated people have a right to have their personal data links removed from searches, Google must now comply. This only effects Europe and the topic of free speech is likely to be questioned as results get taken offline from the search conglomerate. If you would like to erase some of your internet past the official web form can be accessed here. Microsoft and Salesforce haven’t always seen eye to eye in the past but both are now letting bygones be bygones to form a strategic partnership. In addition of the announcement we also have a surprisingly detailed plan of what this partnership will involve. New Salesforce apps will be making their way to Windows and Windows Phone, Salesforce for Office 365, Office integration into Salesforce, OneDrive integration into Salesforce, Salesforce integration into Outlook and finally connect Salesforce data for Excel and Power BI for Office 365 to visualize new information and find new insights. All together these planned changes will go a long way in bringing users of Microsoft and Salesforce a much better, integrated and hopefully more productive experience. Leap Motion is a small minimalistic block you plug up to your PC which enables you to make hand gestures in-air to control your PC. The original product was successfully crowd-funded on Kickstarter, even being utilised later by HP who has rolled the tech into some of its laptops and since has seen many clever applications take advantage of it innovative user interface. Despite this many had voiced disappointment to the accuracy of the device, Leap Motion has rolled out a big version 2 update which enable to device to sense allot more information in real-time including the individual joins in your fingers. Developers now have access to these new tools and can take advantage of them to create more sophisticated motion sensing technology. Hopefully taking advantage of new healthcare, corporate and home user applications, it won’t be long till we see the next generation of Leap Motion software being released. 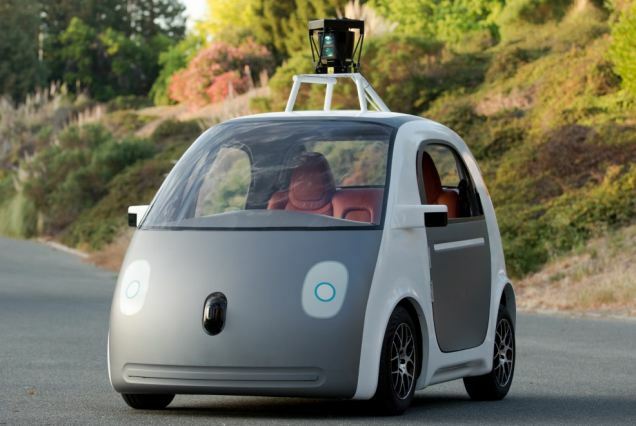 Google have been busy making software for self-driving cars now for quite some time. Today we get to take a look at their latest prototype. Physically the prototype car looks like a smash up between a Smart car and a Nissan Micra. Interestingly these cars are electric driven and have no steering wheel or pedals as overrides. The cars are fitted with a touch screen to set your destination (although very likely this will also synchronise with you google account and smart phone) and a single, self-explanatory Start/Stop button. Quirkiness aside these are looking more like actual products and less like tech experiments. Google will have trouble settling people’s fears of the safety of driver-less cars on our roads but they may be gearing up for a limited release soon.